The title is a slang expression for a pompous government official. It is a pun on the principal character: a Jack Russell terrier. 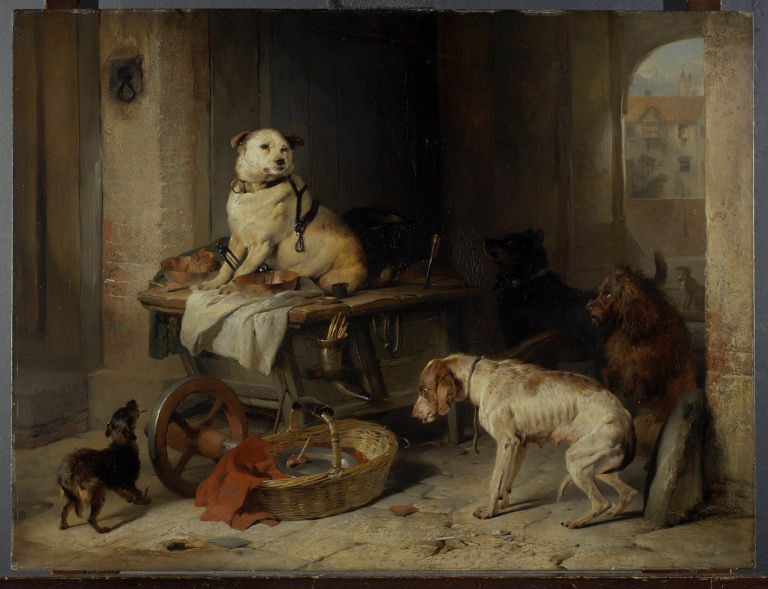 A critic described how 'the well-fed and much caressed dog…keeps others from testing the food of which he has had too much'. 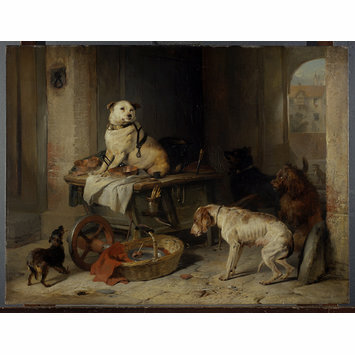 Oil painting depicting numerous breeds of dog entitled 'A Jack in Office' by Edwin Henry Landseer. Great Britian, ca. 1833.